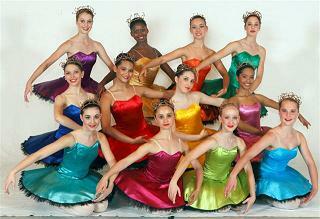 The Cape Junior Ballet (CJB) presents "Danz-D-Lites" at the Belville Civic Centre for one night only. This vibrant Cape Town Ballet company under the Artistic Direction of Dianne Cheesman, captures the energy and passion that celebrates our talented South African youth, transporting audiences into the magical world of dance. After their outstanding successes in Portugal and at the Baxter Theatre last year, the CJB will be showcasing their latest innovative dance production called Danz-D-Lites at the Bellville Civic Centre for one night only. Cape Town Junior Ballet "Danz-D-Lites"
The diverse programme will feature classical and contemporary-inspired works, with two Neo-classical pieces, La Luna and Rendezvous, choreographed by Bovim Ballet’s Kirsten Isenberg. There are several new works in the line-up that include Classique Lights by Cape Town City Ballet’s Artistic Director Robin Van Wyk, Back to Bach by Lindy Raizenberg from the UCT School of Dance and Napoli Suite by former CAPAB Ballet Principal dancer Nicolette Loxton. "Keito", created by emerging choreographer Kristina Johnstone, completes the exciting performance offering. This once-off presentation of Danz-D-Lites, shows a light side of dance as it showcases the up-and-coming CJB dancers and their choreographers. With only one show, it is not to be missed so book early to avoid disappointment. Tickets: R80/R40 each and R50 for block bookings of ten and twenty or more people. Book via Computicket or 083 915 8000.